The Spyderco Manix 2 is a pretty awesome blade from Spyderco, and probably one of their most successful folder designs to date. 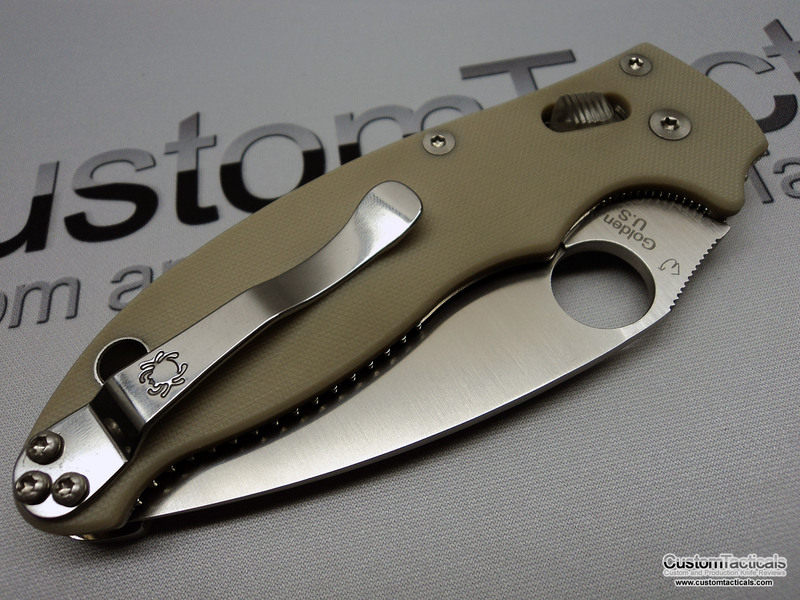 This is the limited edition Manix 2 created for Bento Box, the online Spyderco shop. 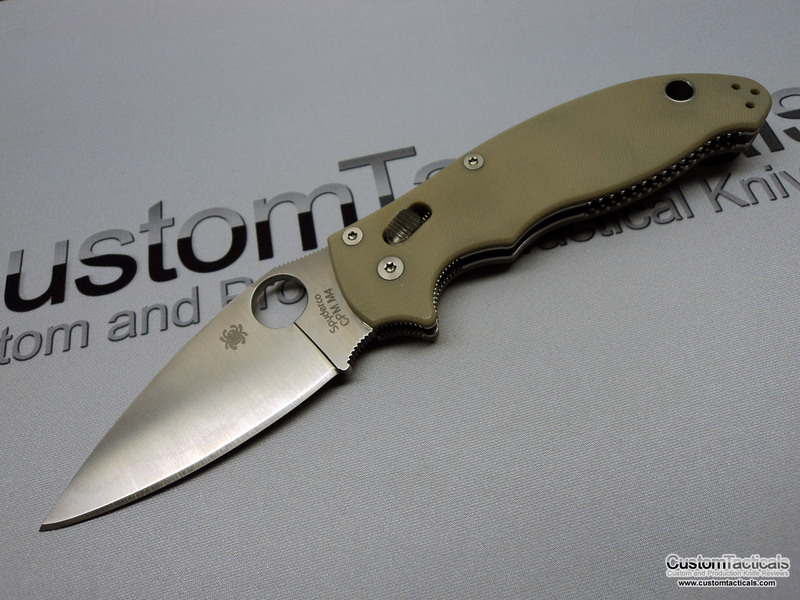 It also happens to be a pretty damn cool with the Tan G-10 and CPM-M4 steel, which is not stainless, but a bit more stain resistant than the usual carbon steels. There are some pretty comprehensive reviews on the internet of this blade, so I’m not going to pretend to give you even more insight into its usefulness. The Manix 2 is, simply put, probably one of Spyderco’s most practical and functionally sound knives ever created. The knife has an extremely robust lock, versatile handle, and the perfect blade lenght for EDC and general small utility use. Its also available in a number of configurations and handle materials to suit your taste. Since this is the limited edition (and now sold out) Bento Box edition of the Manix 2, it has a unique one-of-a-kind CPM-M4 steel blade. This is a very tough and wear resistant steel that keeps a keen edge for a long time. Since its not really a stainless steel, it does get a patina on it that would bother some users. I’ve found that this is a more difficult steel to sharpen than most, and usually works best with diamond stones as regular stones just don’t seem to do anything. The Manix 2 G-10 handle is a tried-and-true ergonomic masterpiece, comfortable in large as well as small hands with Spyderco’s great grippy-as-hell textured G-10 handle. It has a great retention, with the foreward finger choil that’s milled halfway into the blade tang and handle, which is a fantastic feature for allowing you to choke up on the blade and get more tip control for that precise cutting work. 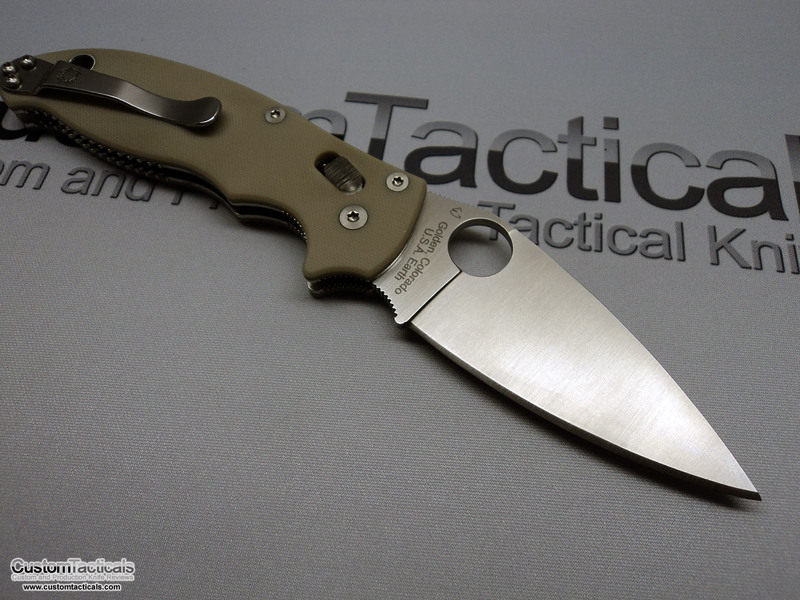 It worked well on the Strider SnG, and its awesome on the Spyderco Manix 2. Its a USA-made Spyderco, which are among the best fitted knives in this price range. I think they’re generally better finished than Benchmade, but maybe lack the “detail” in the designs which is often mistaken as quality. Just because spyderco doesn’t mill little holes on the handle surfaces and heat color and annodize all their titanium, doesn’t mean its not quality finished. While the finishing is simple, the tolerances are tight, and the machining is immaculate. These are well-engineered tools, guys.